Incorporate a feather touch keypad with LCD Display for setting the plate temperature. Precise temperature control. Built in memory for storing set temperature. Corrosion resistant material for durability. Removable collection tray. We offer a wide range of biology laboratory equipment, tools and equipment that are used for conducting different experiments. These products are also used in research laboratories and centers. Our range includes lab equipment to highly advanced scientific instruments. 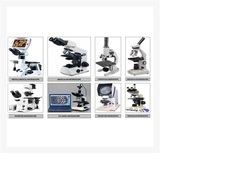 We are considered as one of the most prominent biology lab instruments exporters from india. We offer superior quality biology instruments that have acquired applications in various laboratories and medicals colleges. Designed with utmost care, these biological instruments are appreciated for their efficacious performance. 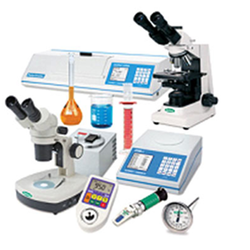 Biology instruments can be availed at reasonable prices. We are involved in offering an exclusive range of supreme quality Pooter to our clients. For collecting flies, spiders and other small arthropods. Comprises glass specimen tube, 75 x 25mm height x diameter, with inlet and outlet tubes via a rubber stopper. Collecting tube has flared end and mouthpiece has a rubber tube connection. A gauze filter confines collected specimens to the tube. For collecting flies, spiders and other small arthropods. Comprising glass specimen tube, 75 x 25mm (height x diameter), with inlet and outlet tubes via a rubber stopper. Collecting tube has flared end and mouthpiece has a rubber tube connection. A gauze filter confines collection specimens to the tube. For collection of botanical specimens from field. Made of 22 SWG aluminum sheet. Handle and adjustable shoulder strap provided for easy handling. Exterior well painted and interior provided with 2mm cork sheet. - Size 45 cm x 15 cm x 25 cm. - Size 60 cm x 20 cm x 30 cm. - For collection of botanical specimens from field. Made of 22 SWG aluminium sheet. - Handle and adjustable shoulder strap provided for easy handling. - Exterior well painted and interior provided with 2mm cork sheet.